The AAFFHS has secured the rights to the article in the Afro-American Newspaper. This article was originally published in our 2010 Annual Salute booklet. This entry was posted in Featured and tagged Articles. AAFFHS is a 501C (3) Charitable Organization in need of support from people like you. 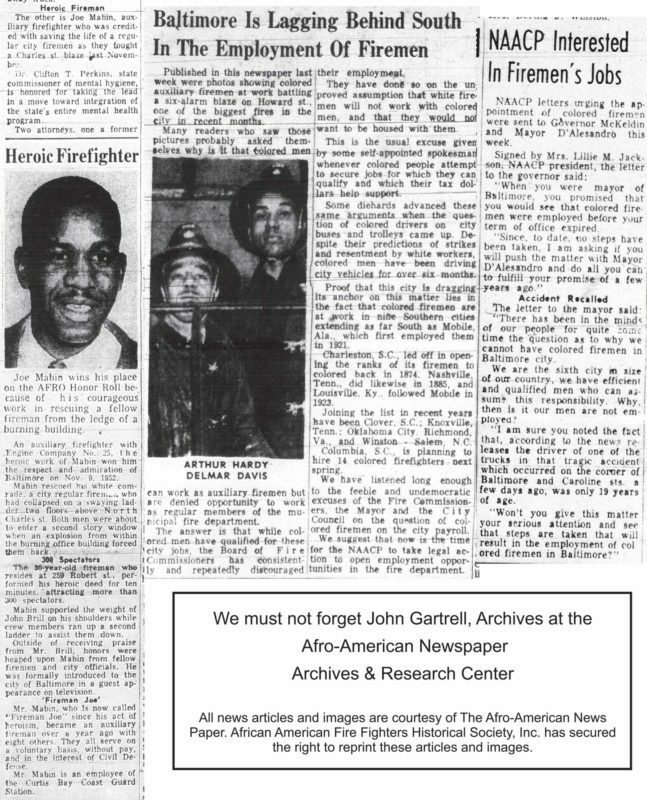 The African American Fire Fighters Historical Society’s mission is to collect, preserve and disseminate historical data, and information relating to the contributions made by fire fighters of color, and others who have made a contribution to such history; to be used for the purpose of education, fire prevention and mentoring.